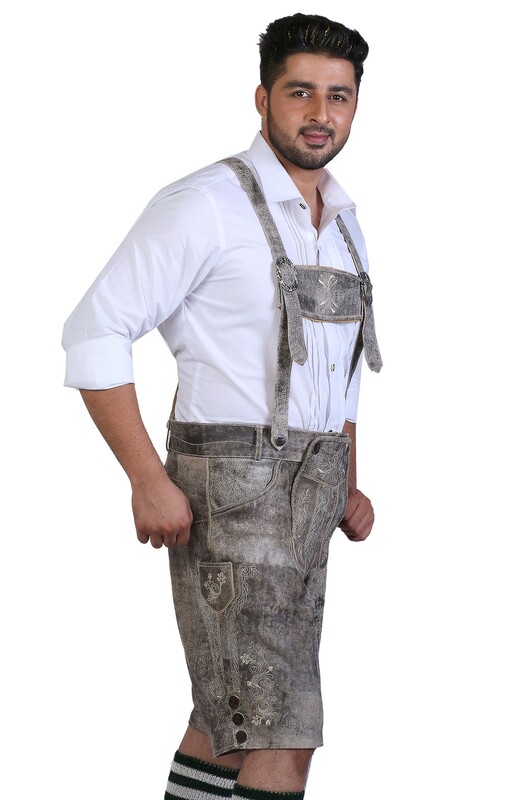 These shady traditional German lederhosen in Graphite Grey are made from 100% suede leather. 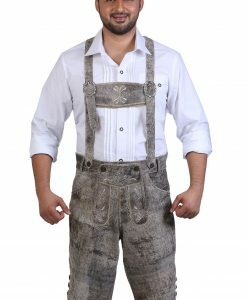 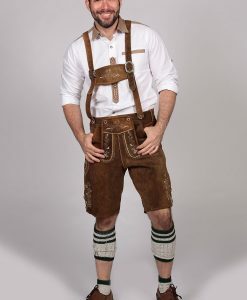 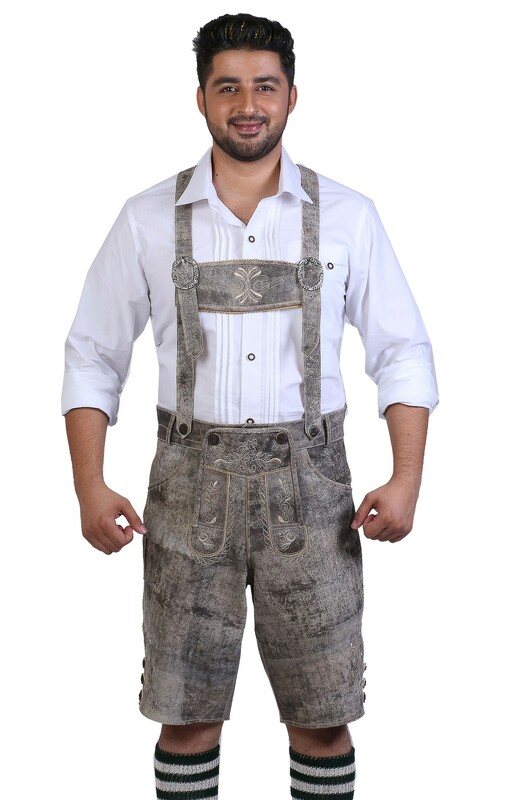 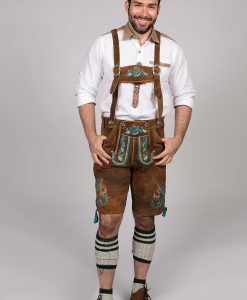 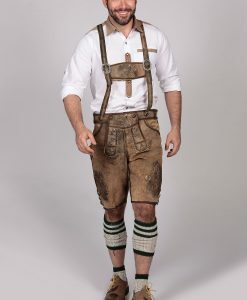 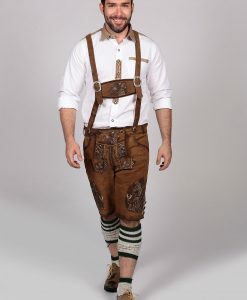 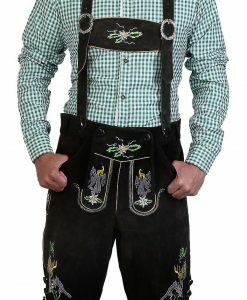 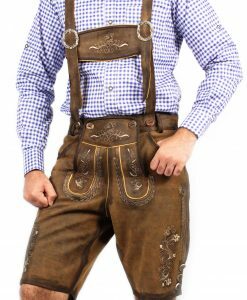 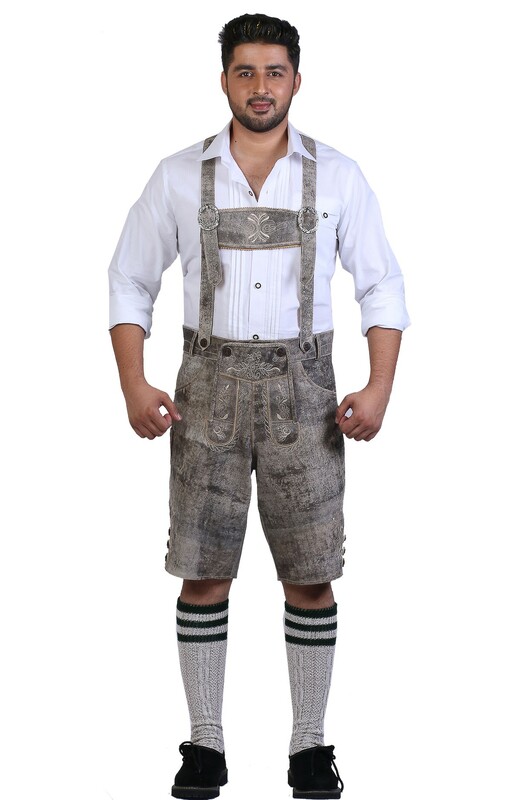 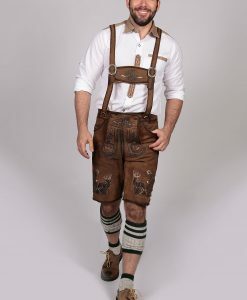 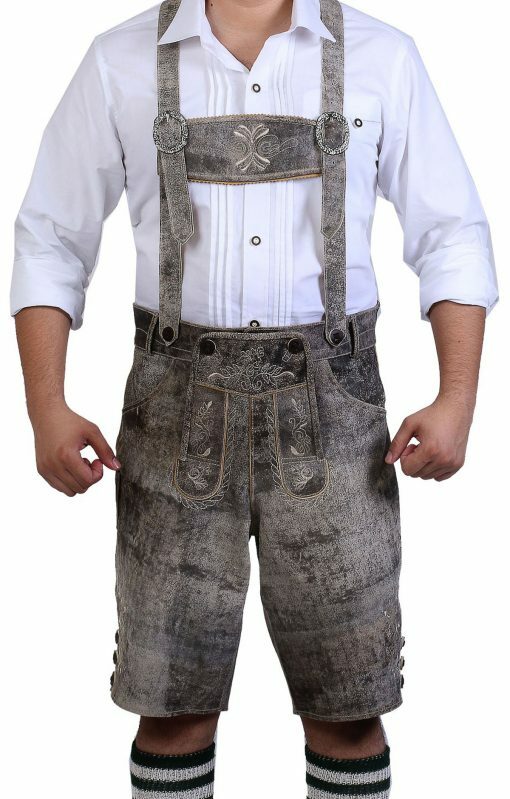 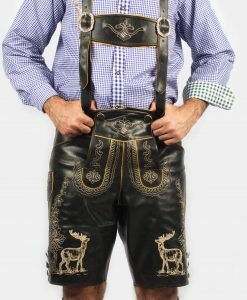 The lush washed out leather on these menÂs lederhosen make them an excellent choice for the Munich festive celebration. 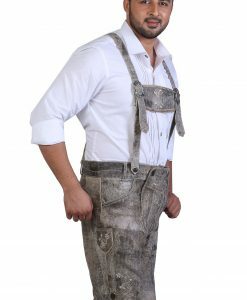 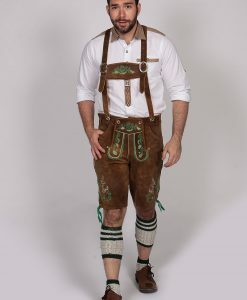 Soft yet strong, these authentic lederhosen shorts have the calmness of the color while pairing it up with a bold and trendy tracht shirt adds the faultless traditional look. 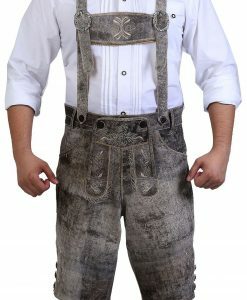 The delicate silver and grey embroidery on bib and front adorns the intricate stitching. 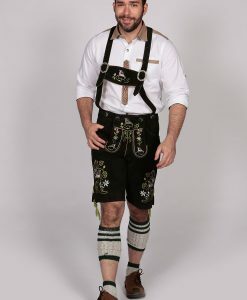 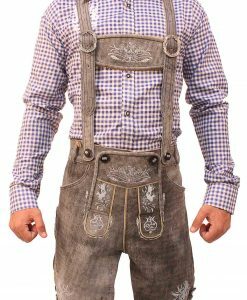 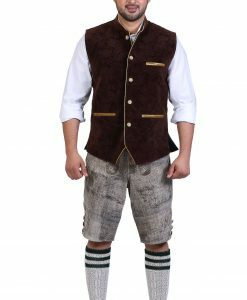 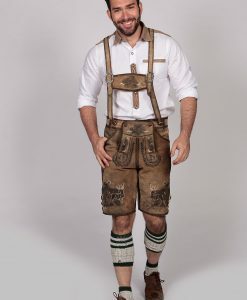 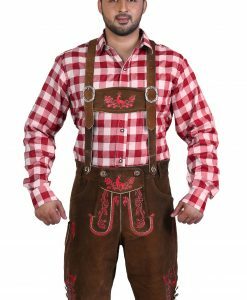 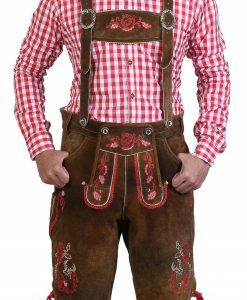 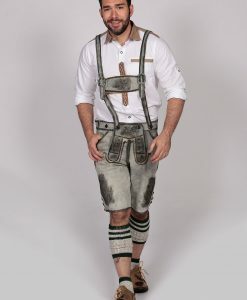 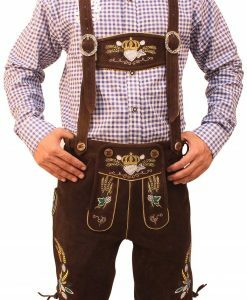 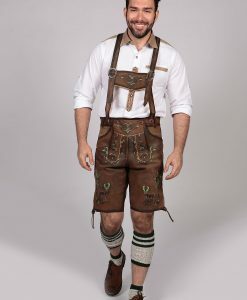 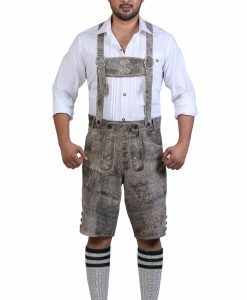 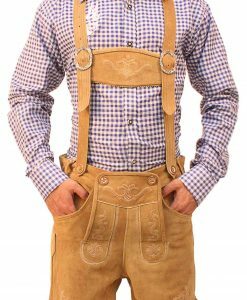 Form every hem to stitching, the Bavarian lederhosen with lederhosen suspenders and traditional horn buttons is a piece of excellence. 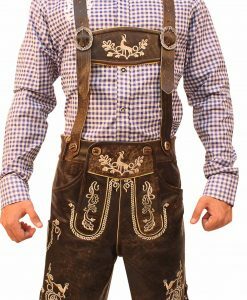 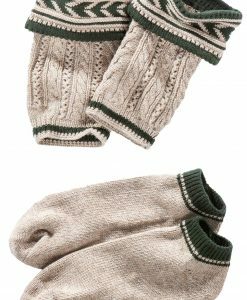 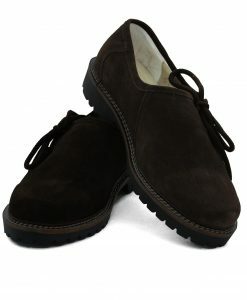 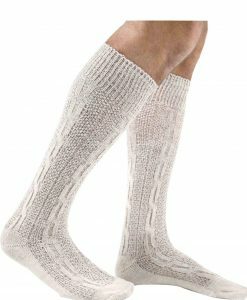 Look stunning in the Oktoberfest outfit by pairing these with tobacco colored brogues and a blue checkered tracht shirt.